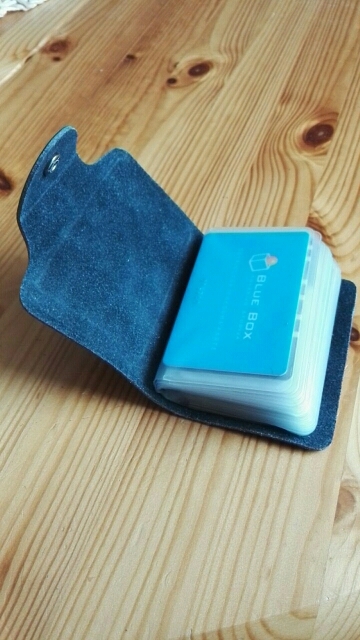 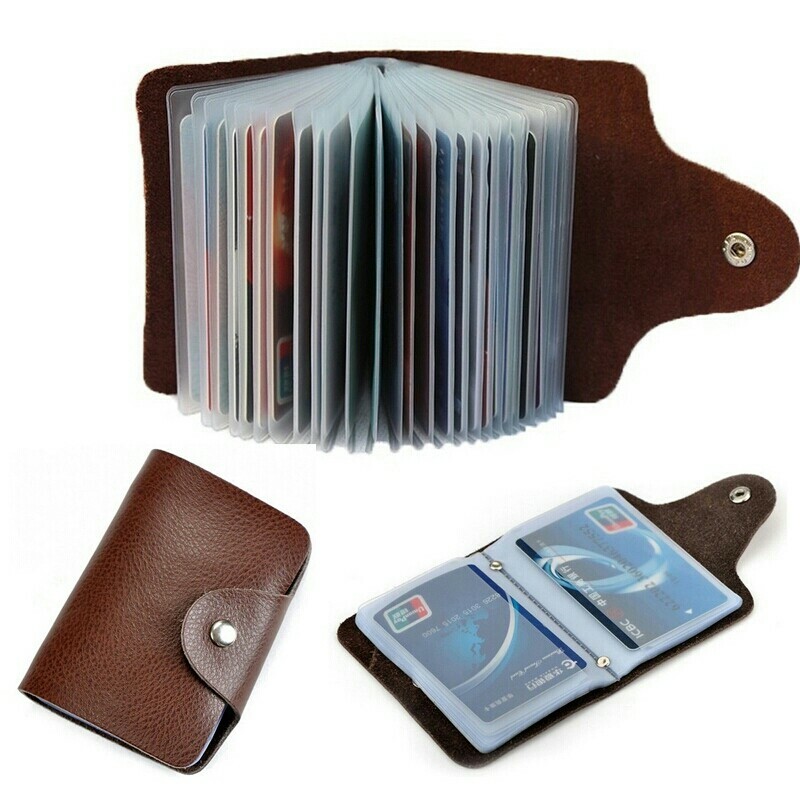 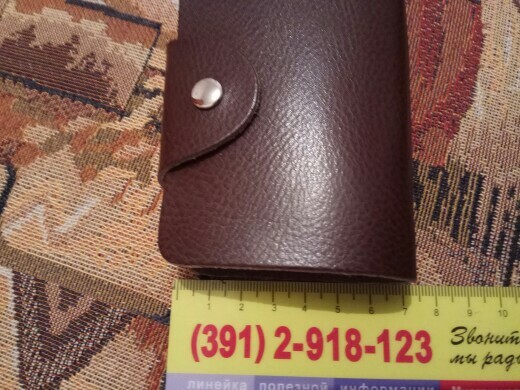 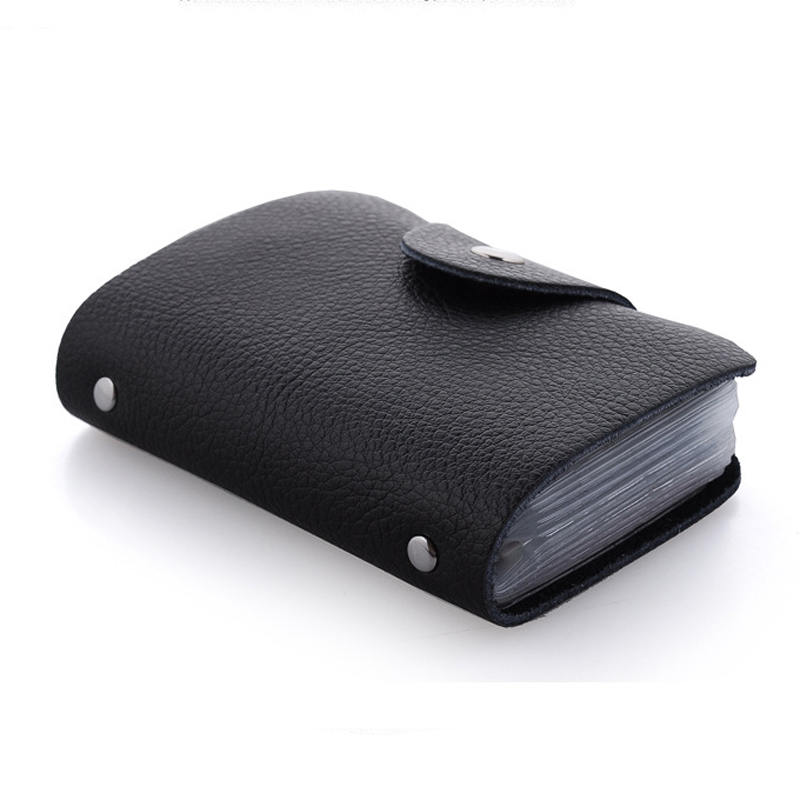 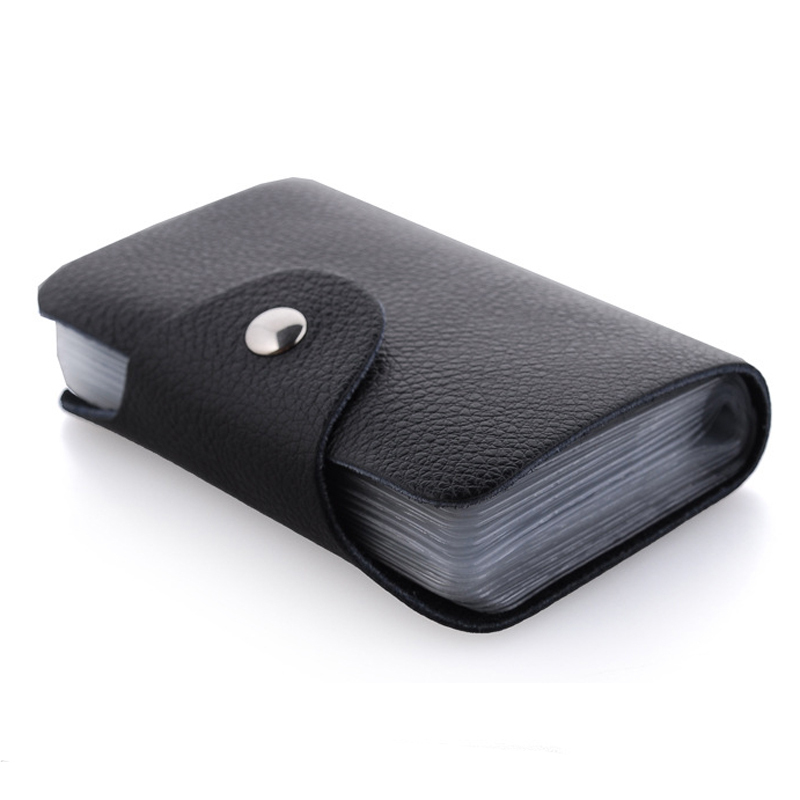 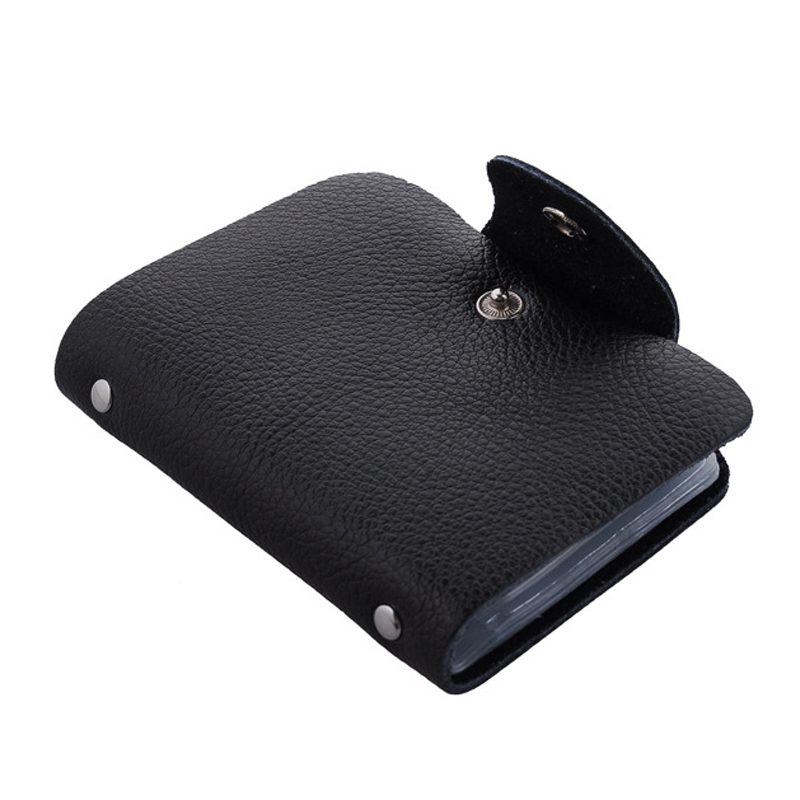 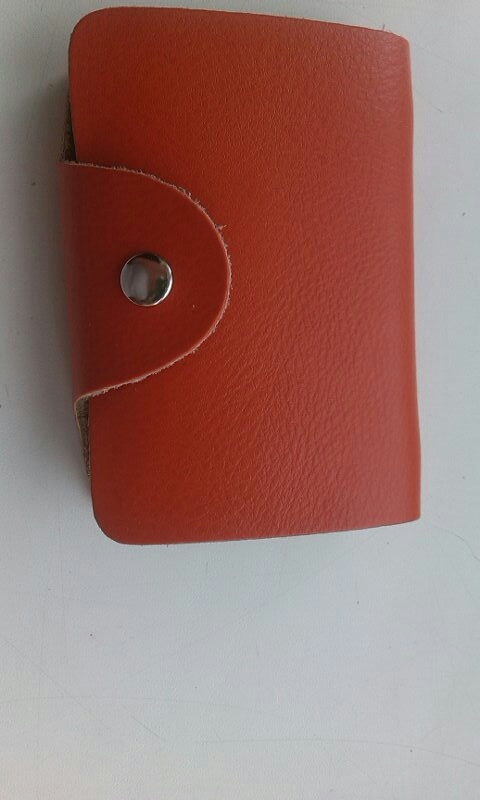 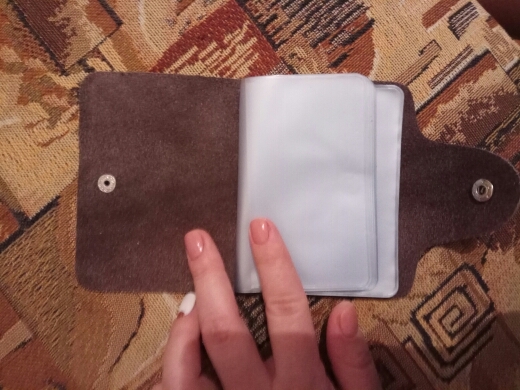 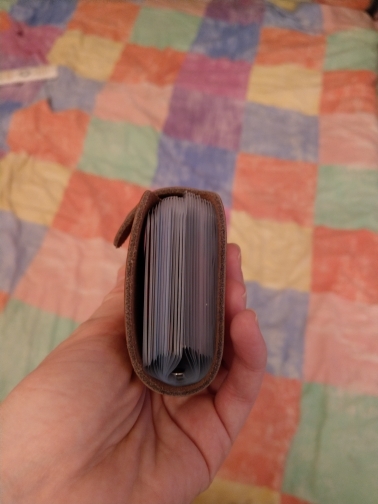 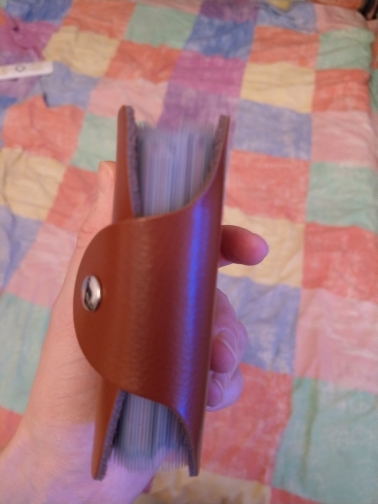 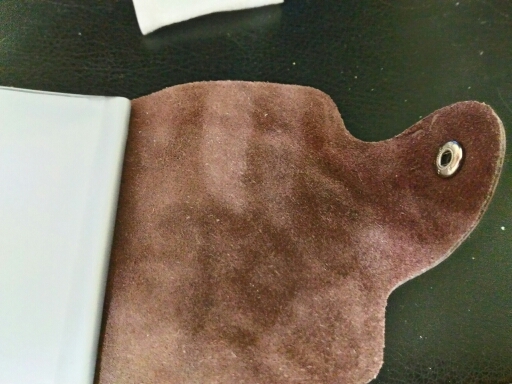 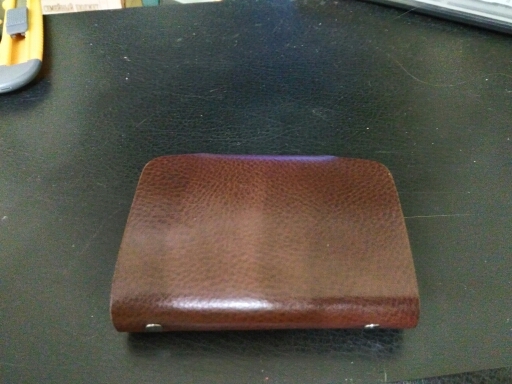 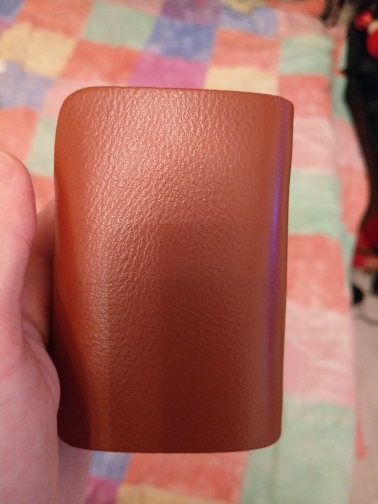 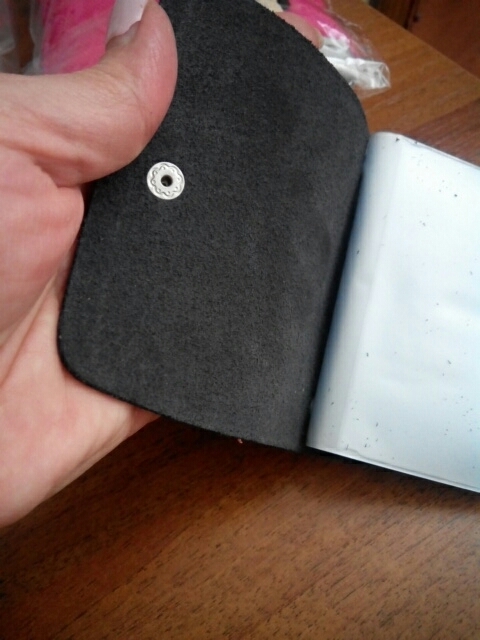 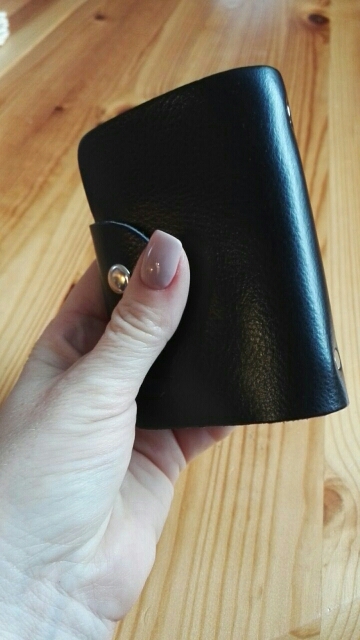 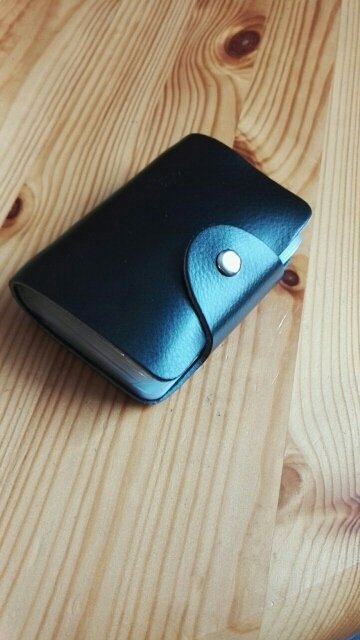 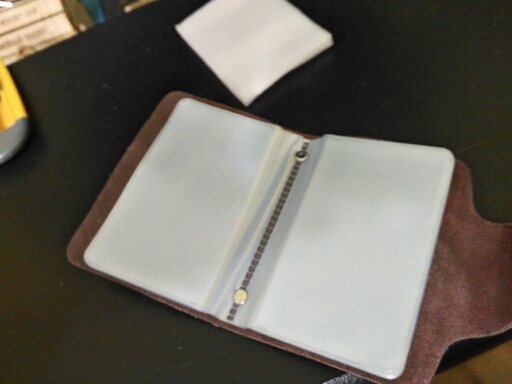 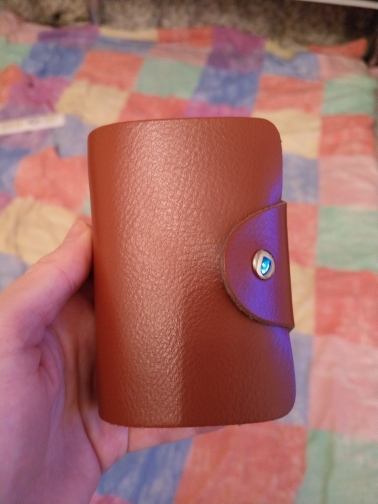 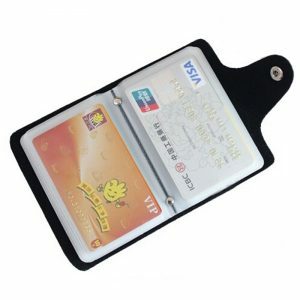 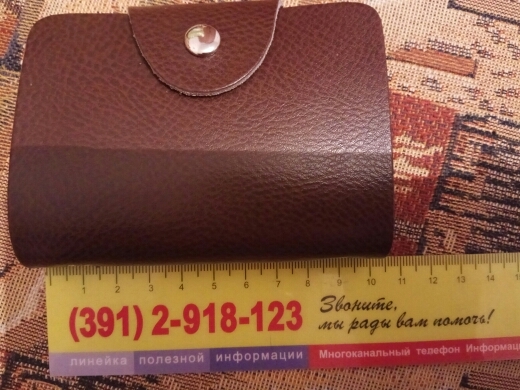 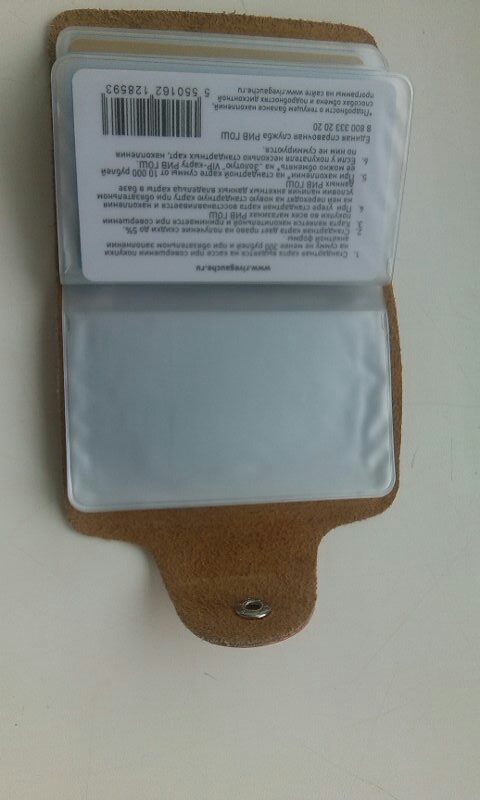 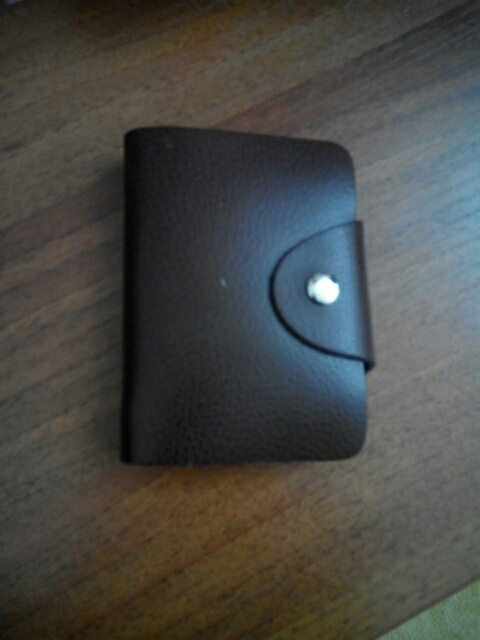 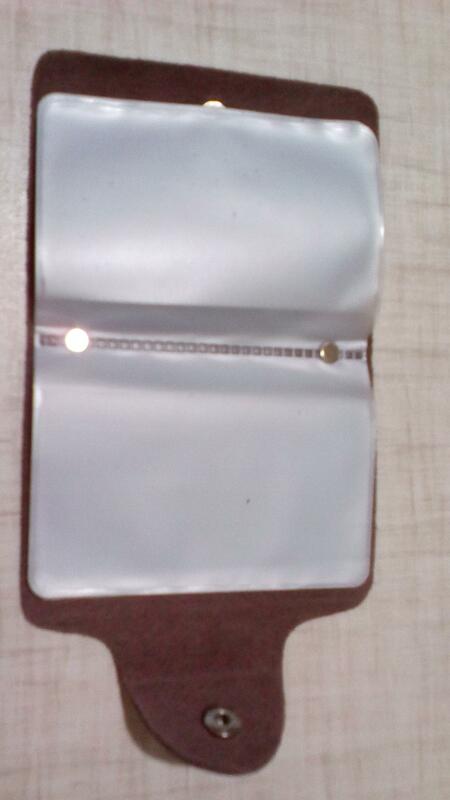 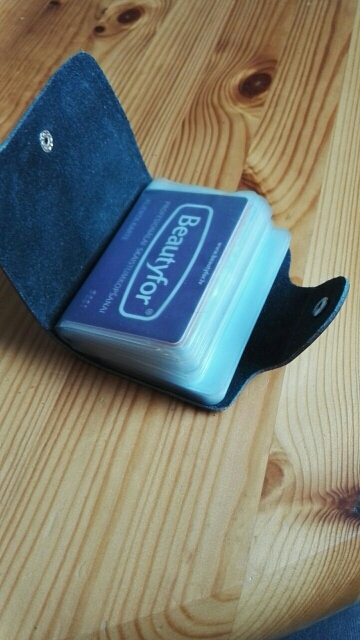 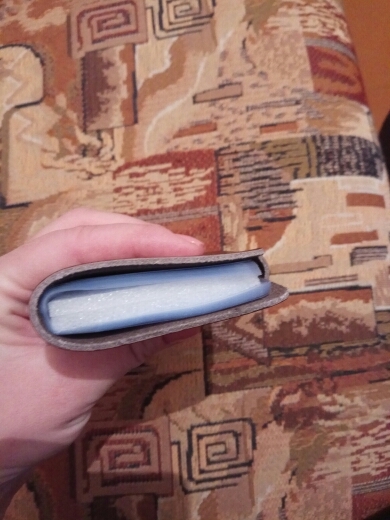 A very nice leather card holder for business cards or credit cards. 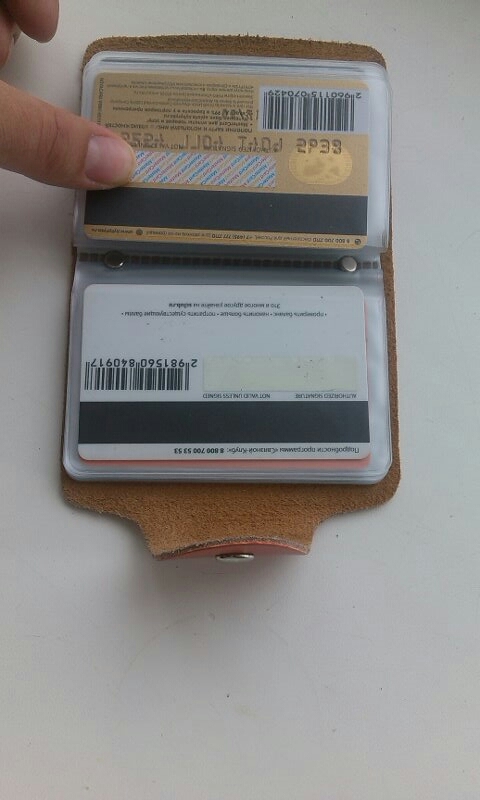 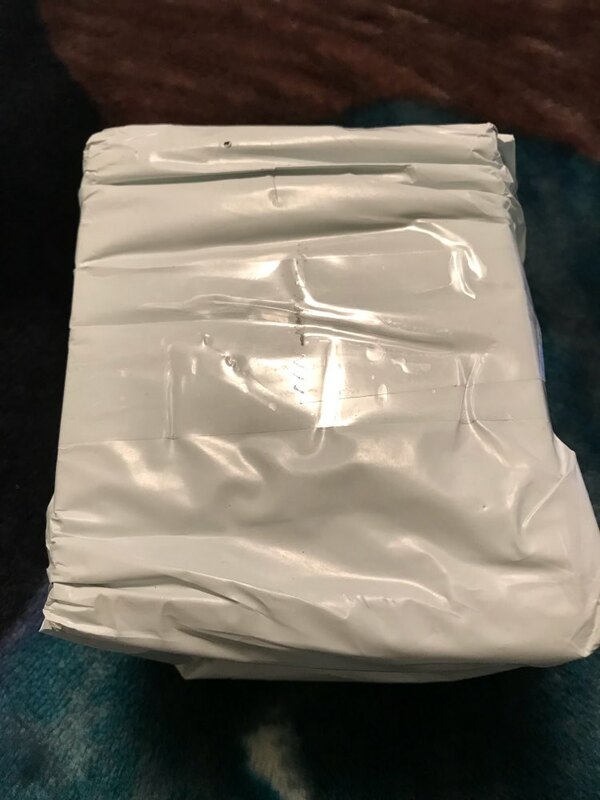 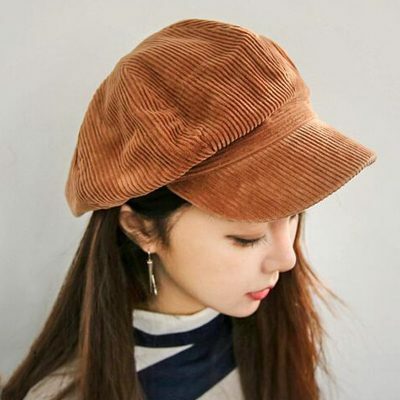 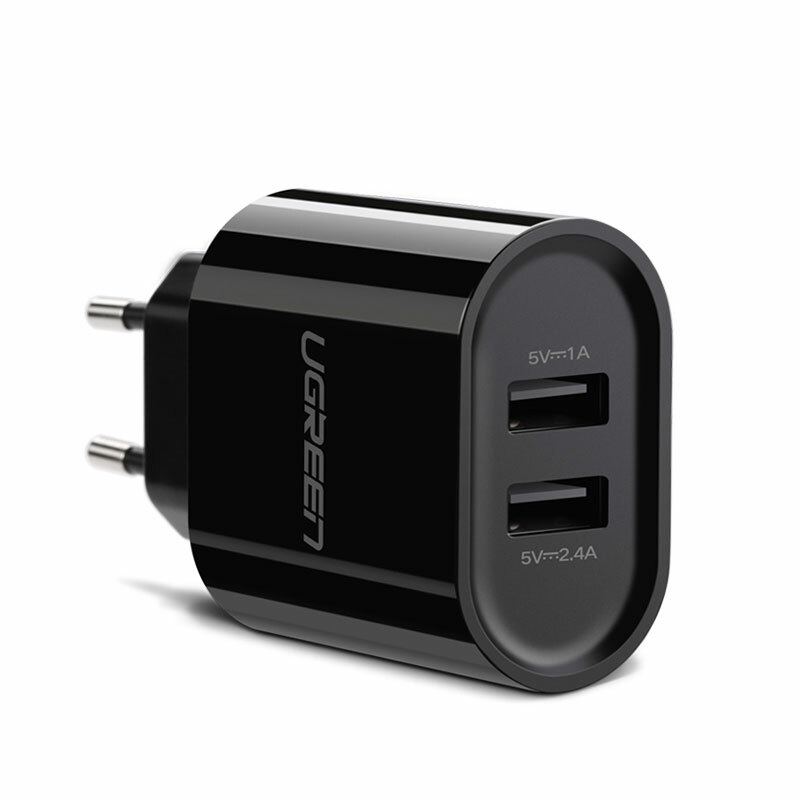 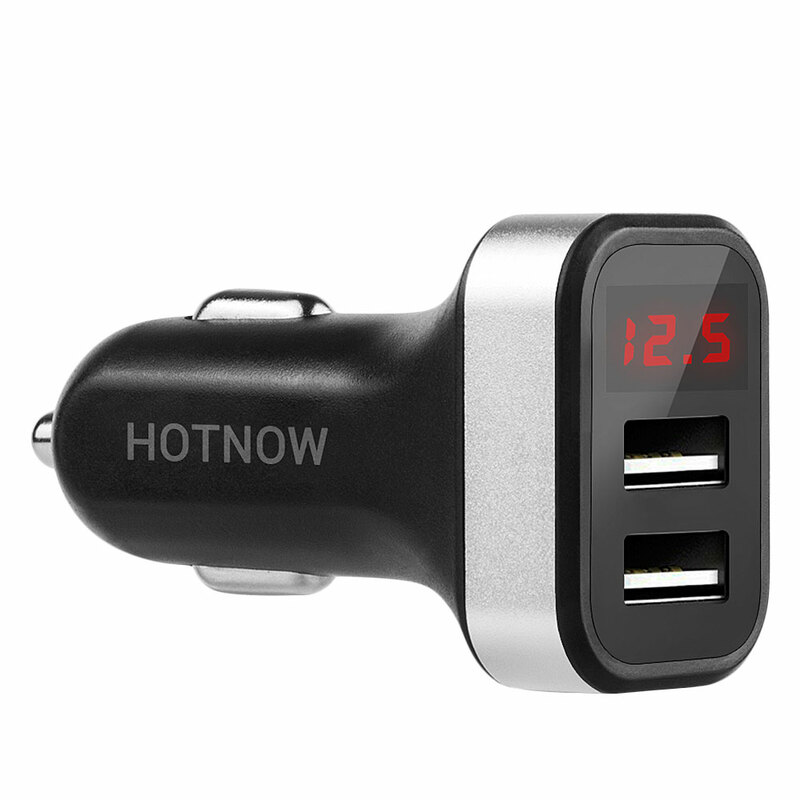 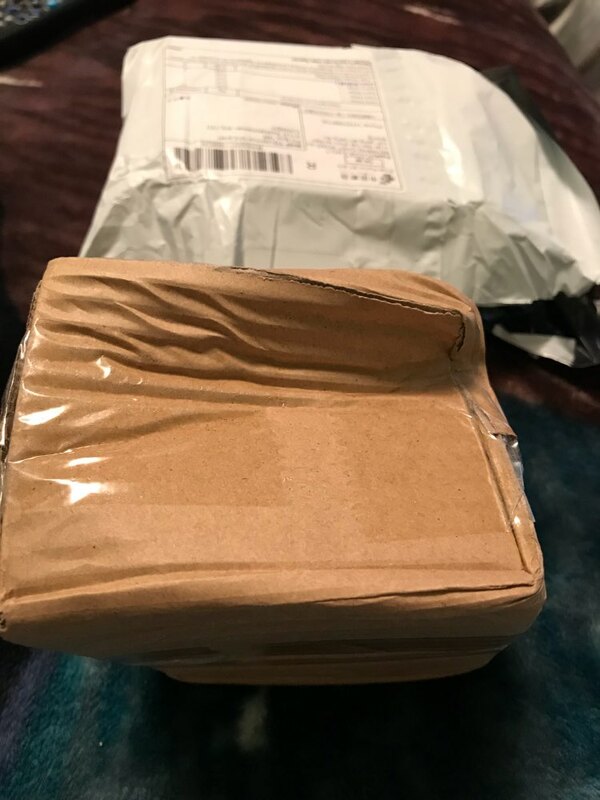 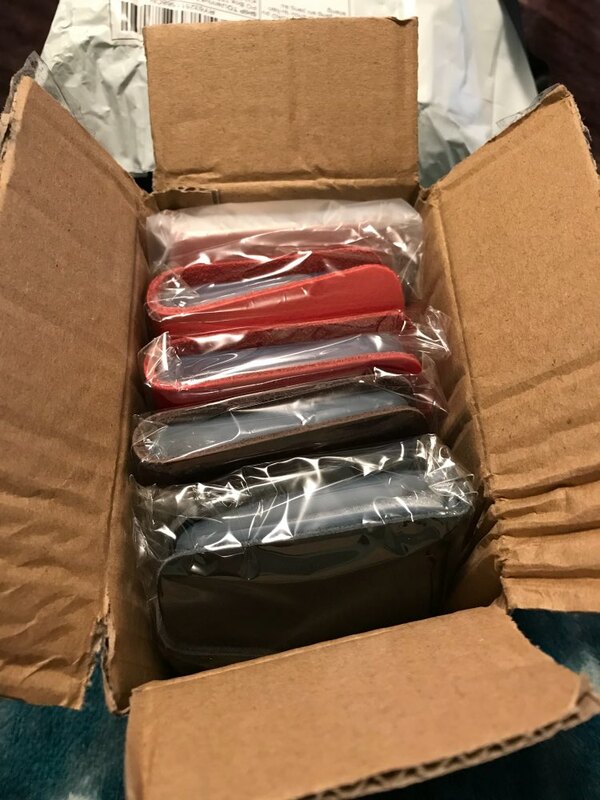 can recommend it, item matches the description, arrived within 14 days. 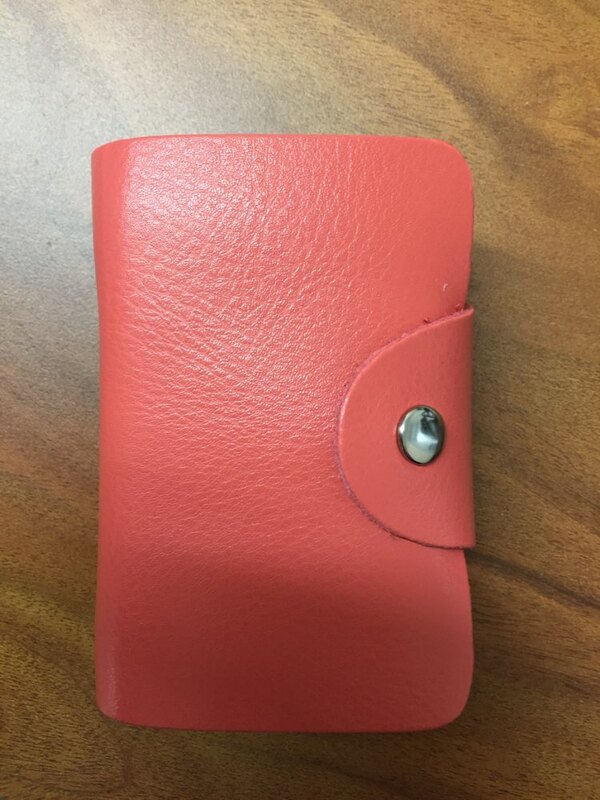 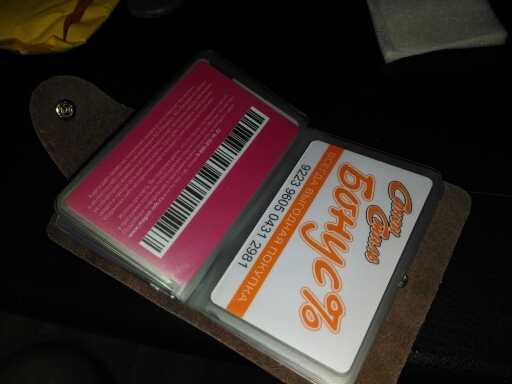 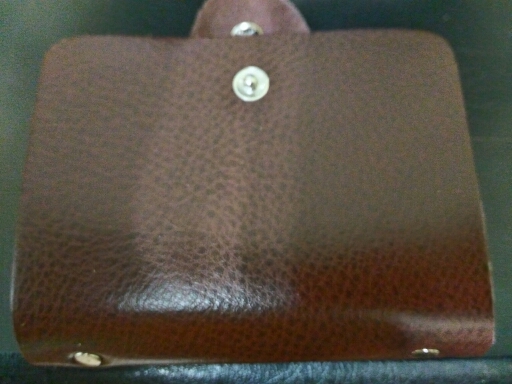 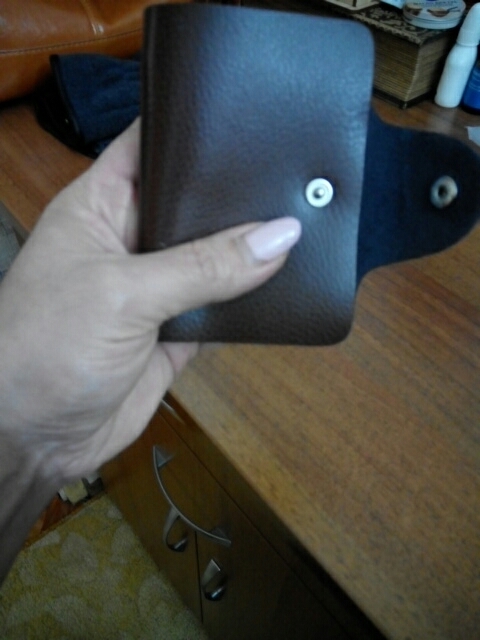 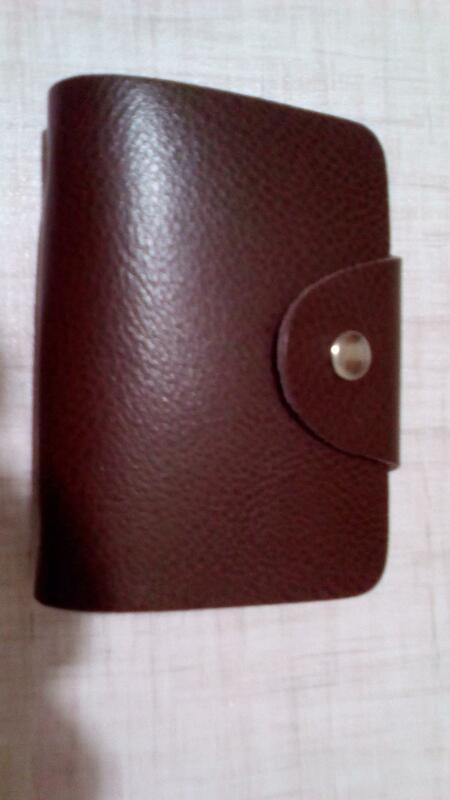 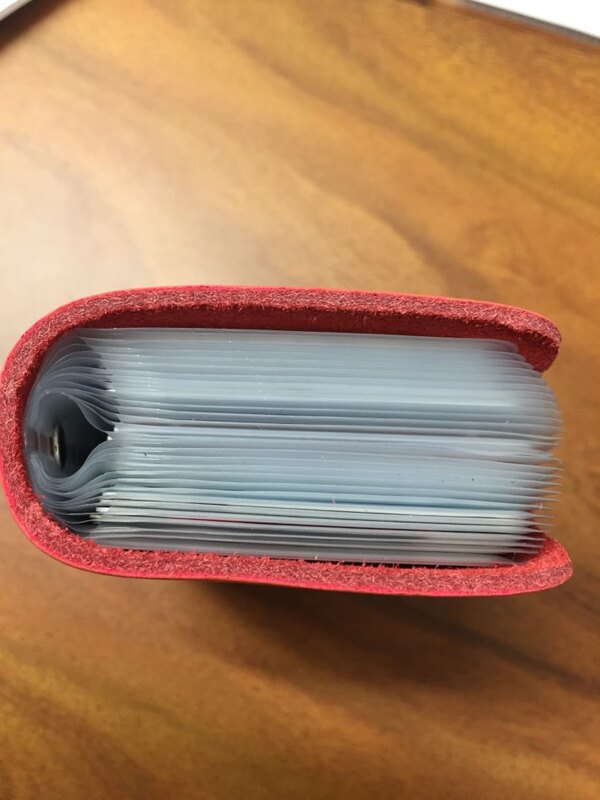 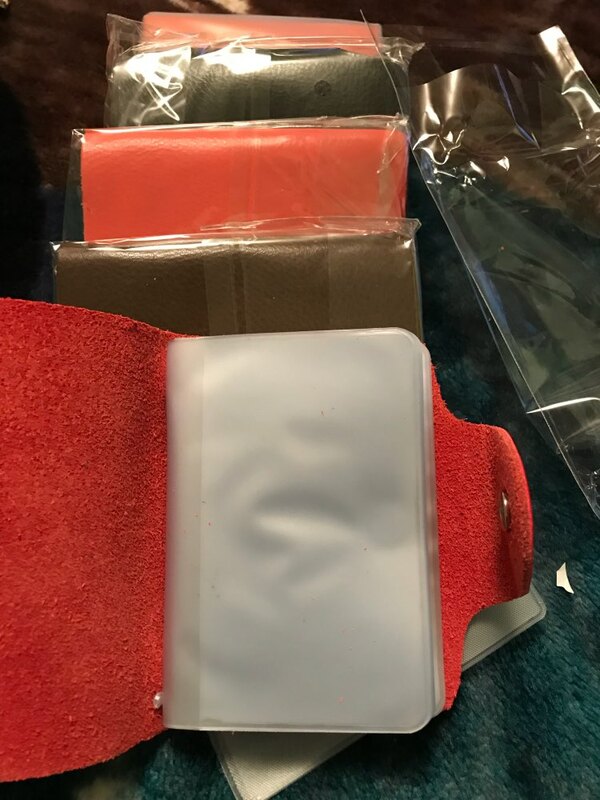 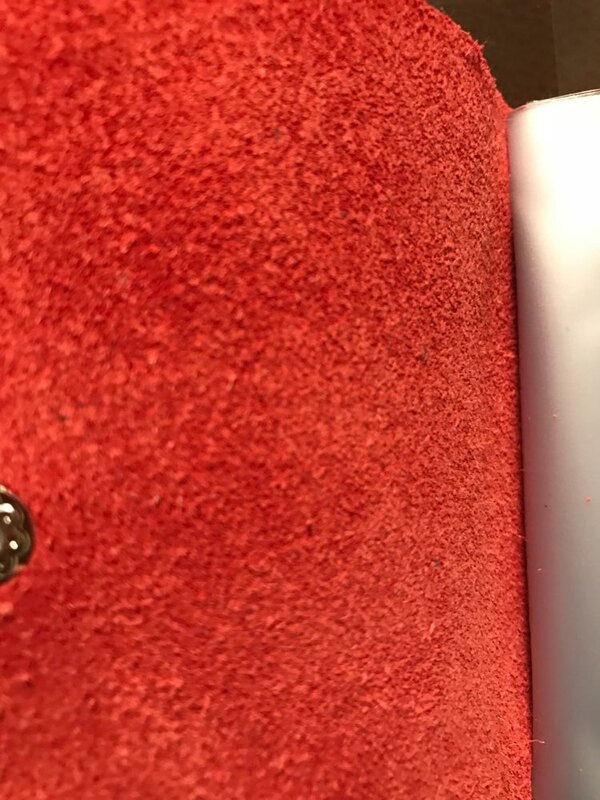 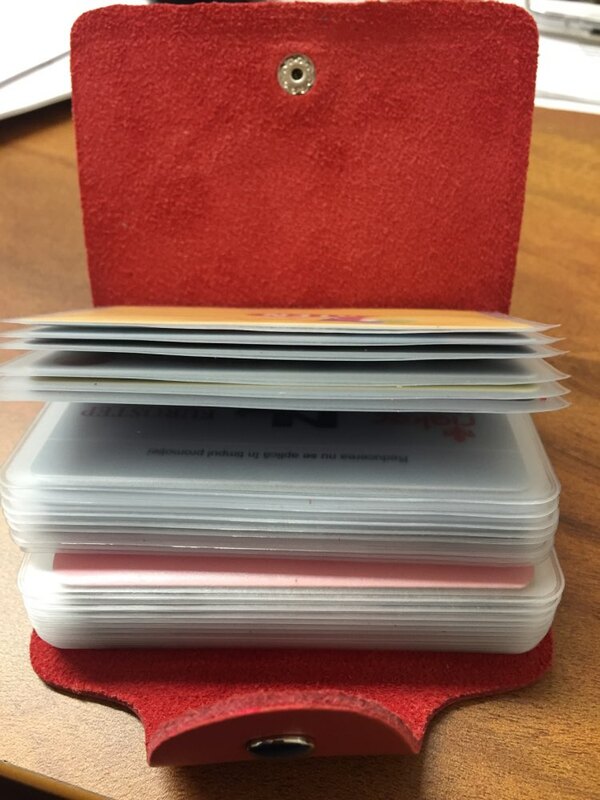 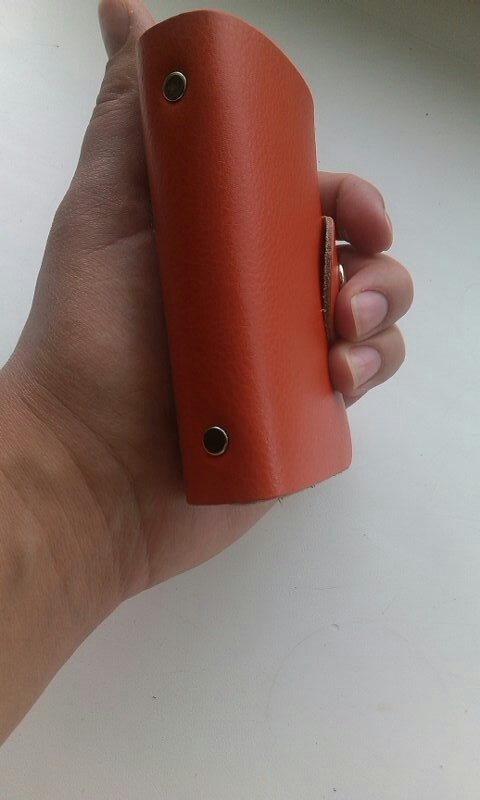 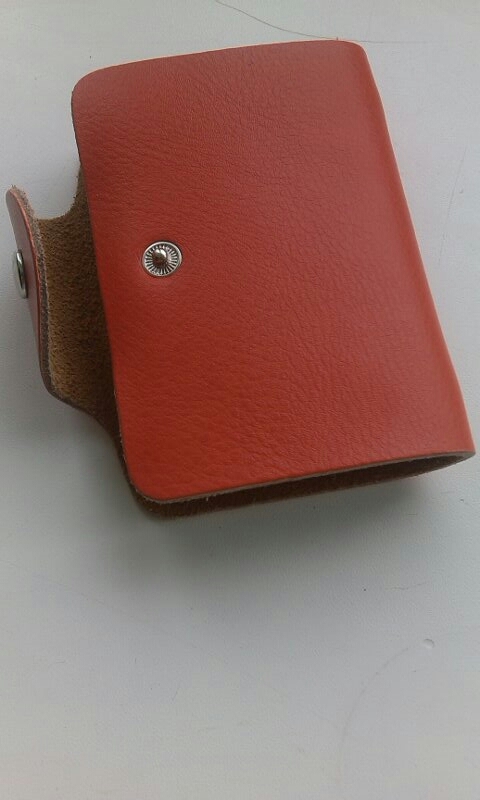 excellent business card holder genuine leather, I took the rose red color, beautiful.